1. 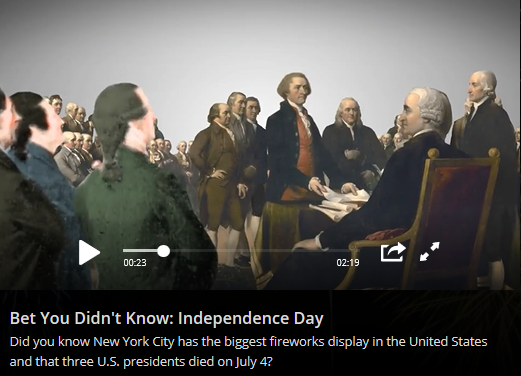 4th of July facts. 2. 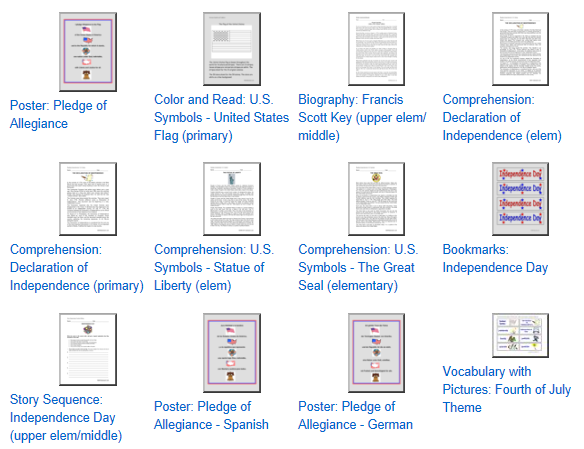 4th of July Lesson Plans and Teacher Resources. 5. Crafts from Enchanted Learning. 6. 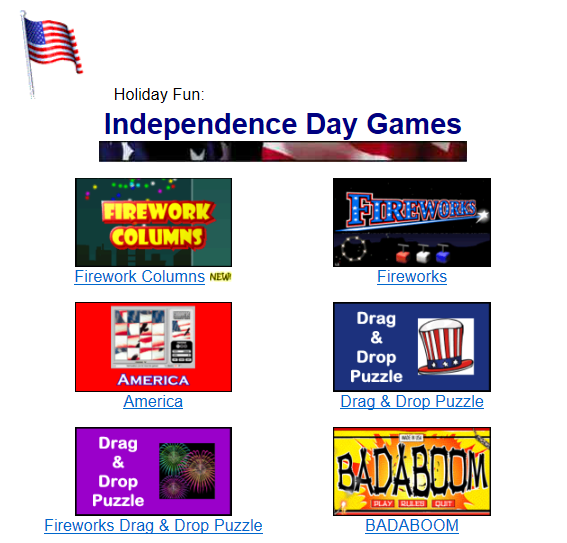 Fourth of July Activities. 7. 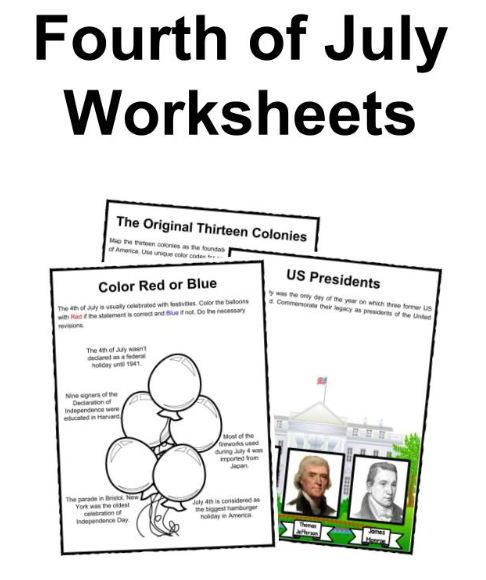 Fourth of July Thematic Unit Study. 10. 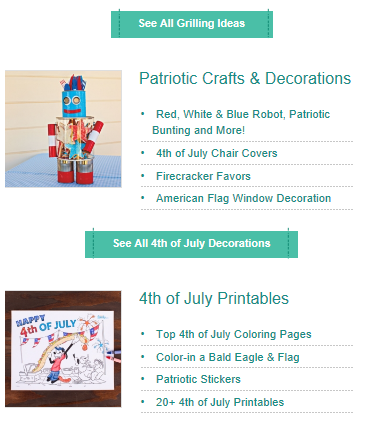 July 4th Coloring pages. 11. 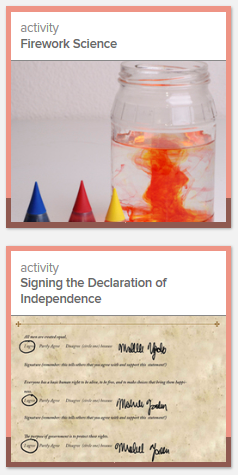 July 4th/Independence Day Activities. 12. 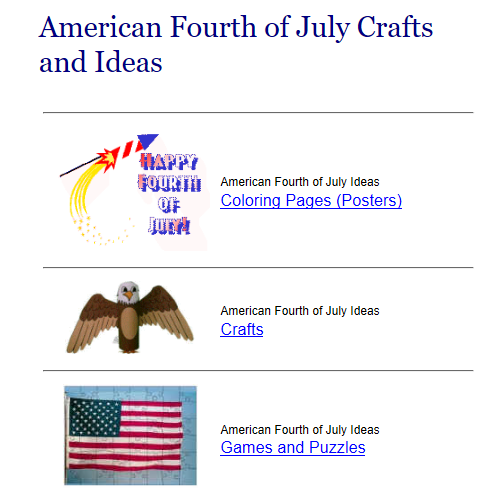 The History of July 4th.